That is how I feel about this time of year. Corn... My goodness, but was the sweet corn good this year. While the Kansas Sweet Corn is about at an end, this week we did get a nice truckload dropped at our farmer's market from southern Arkansas that was just about as good. Corn season, the best of times... Possibly the last of really fresh picked corn for 9-10 months... Shirley, that is the worst of times. BUT... Soup season! That crispness in the morning signaling shorter days and a need for something to warm your bones. Too warm for winter coats but a windy day will chill you to the core. What a great time to start making soups... The best of times. This recipe comes to you courtesy of The Homesick Texan Cookbook! Hopefully you have been following along over the last two weeks. I am part of an elite group of bloggers, 19 in all who have accepted a challenge... A Cookoff and Spotlight for the Homesick Texan Cookbook. 2 weeks ago, I made some WONDERFUL Pork Tacos Dallas Gas Station Style . Last week I jumped on an equally marvelous Poblano Macaroni and Cheese. This week, our challenge was to select a recipe from the book independent of the other 18 bloggers. Plenty of logical choices for me, Dr. Pepper Ribs, a Mexican Red Chorizo, even a Texas Country fried Steak. The choices in the dessert section, appetizer and side dishes were just as tempting. But I had some fresh made Chicken Stock that I had made just the day before. And much as I love just a simple corn on the cob and butter, I was drawn to this Tex Mex Chowder! A beautiful thick chowder with pureed onions, corn, garlic; garnished with thick sliced bacon pieces, more corn and cilantro. Just filled with layer upon layer of flavor. And to kick it up a notch, some roasted jalapenos minced up. Oh, and you might just want to use a few extra ears of corn. Lisa (author, cook and blogger) introduced me to ... Sweet Corn, Onions and Garlic fried in BACON FAT!!! As printed in The Homesick Texan Cookbook! Turn off the heat. Remove 1/2 cup of the corn mixture and set aside to use as garnish. Return the pureed corn mixture to the skillet. Add the remaining chicken stock. bring to a boil. Lower the heat a bit and stir for 5 minutes. Add 1/2 the bacon (I saved the remaining half to garnish) and the Half and Half. Stir and simmer for another 10 minutes. Oh, and just so you don't think I went vegetarian on ya, I also made Lisa's recipe for Chorizo-Stuffed Jalapenos! Ate those like candy, but you have to come back for part two of my night with Lisa's book (tomorrow). Like spicy meat candy! If i have tweaked your interest in anything Texan, and all things Texas Cuisine, The Homesick Texan Cookbook will be available for sale on September 13th. And Lisa's blog is up and ongoing at HOMESICK TEXAN. Wow! This is perfect for the weather we have had this week! I am freezing today and this would warm me right up! Oh my goodness that looks amazing. I love the addition of bacon and jalapenos, this is a must try! The Corn Chowder looks delicious, and it would be good with some of that fresh Kansas Sweet Corn. That is the best corn ever. I will add this to my "to cook" list for this book and the list is getting very long. Thanks for sharing and have a great week end! What a great choice! 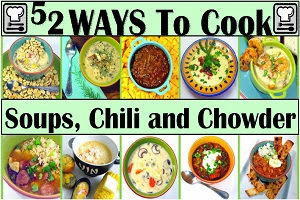 I'm definitely craving the chowder, stuffed jalapenos and some sweet corn now! Can't wait to try these recipes! I love a good corn chowder, and I can imagine the flavors that went into this one. Can I dive into your bowl...right now? this looks amazing! found you through jam hands!